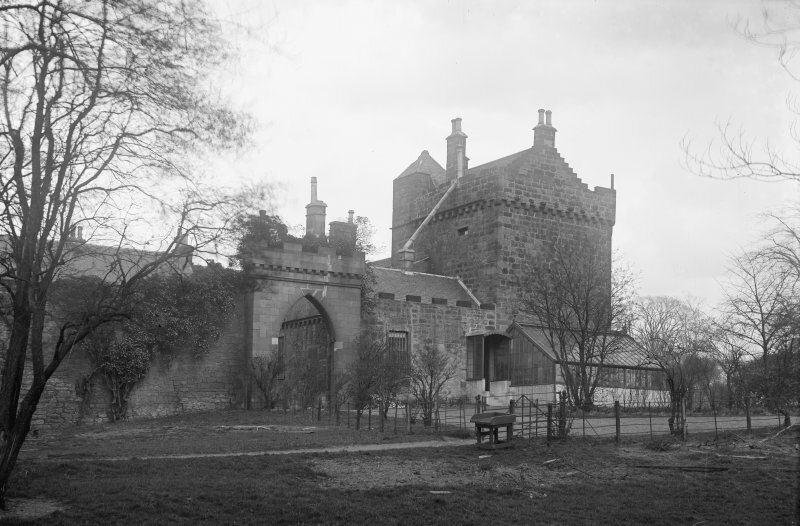 General view of garden entrance with castellated gateway. General view of West wing. Farme is a simple three-storeyed keep, apparently built in the 15th century, now incorporated in a modern mansion. The estate has belonged to the Stewarts, Crawfords, and others, but it is not known by whom the castle was built. D Ure 1793; D MacGibbon and T Ross 1887-92. Farme Castle (information from Miss Robertson, tenant, Farme Castle) is a typical 15th century keep, as described above. Its walls, of dressed masonry, are in a fair state of preservation. 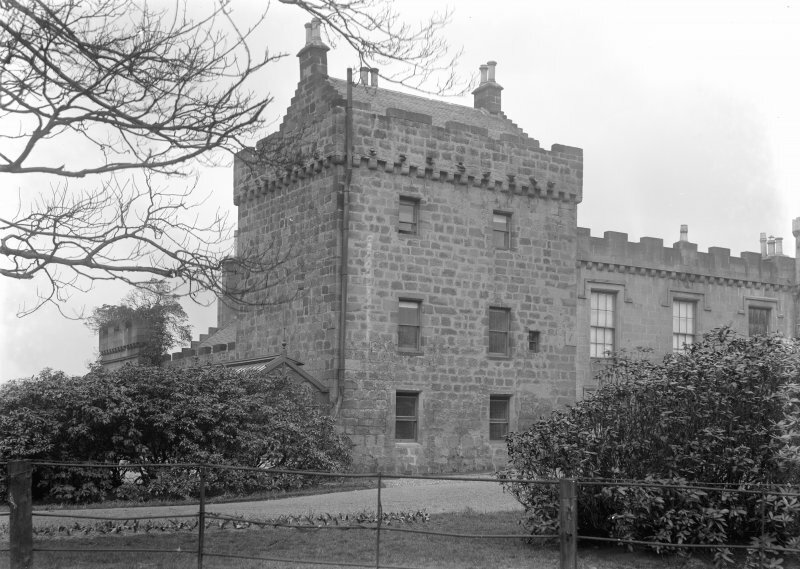 It is still in use as a residence, with relatively modern additions in castellated style on the N and E.
Visited by OS (J L D) 31 March 1954. Farme Castle has been destroyed during the erection of an aluminium works. Foundations noted by A Gordon. Information contained in letter from A Gordon to J N G Ritchie 26 July 1984. 15th century with modern additions. Mit. Lib. 'Wm Graham Vol 1' p. 47 1896 - 1 photograph. Mit. Lib. J Maclehouse 'Country Houses' - 1 photograph.